The Brooklyn men’s watch from Tommy Hilfiger. Featuring a smart 40mm gold plated case, rich blue dial and stainless mesh bracelet, this watch packs a punch with the smart two-tone combination style. 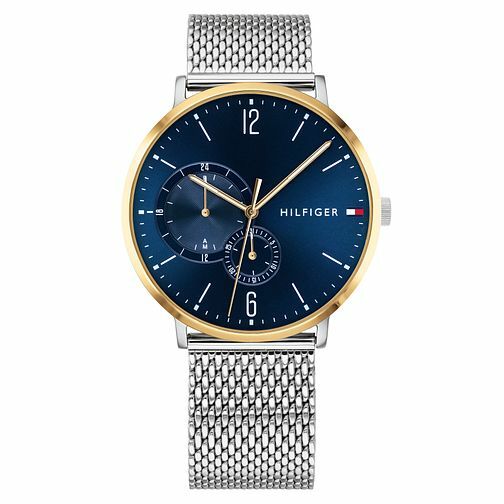 With the Hilfiger flag logo at the 3-o-clock mark, this watch is a classic timepiece.